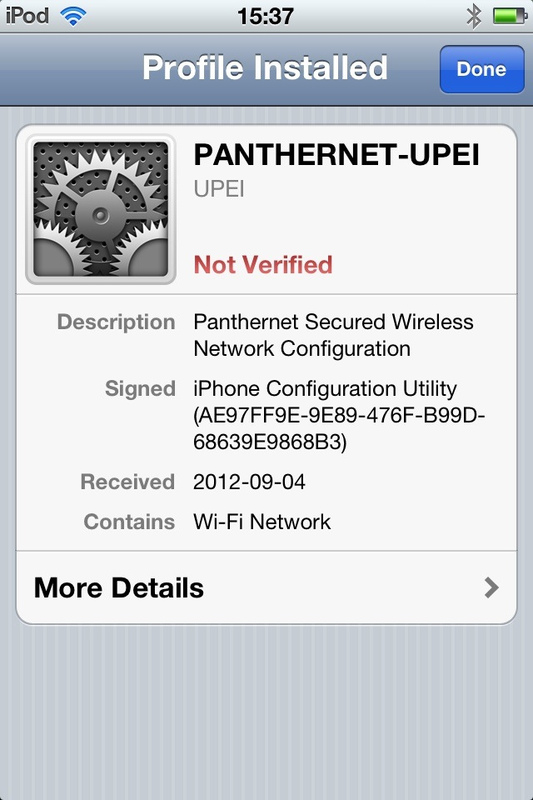 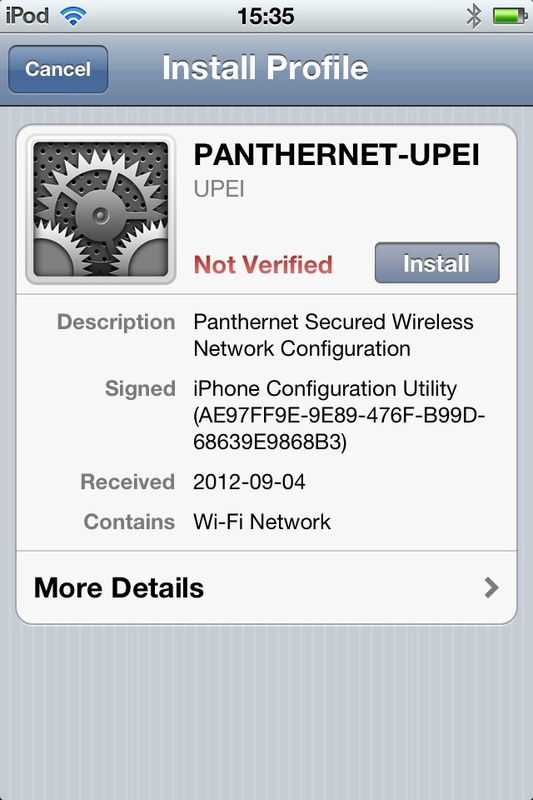 I’ve you’re using the Panthernet-Open wireless network at the University of PEI from an iPhone, iPod Touch or iPad, you’ll be prompted to enter your username and password every time you go to use the network. 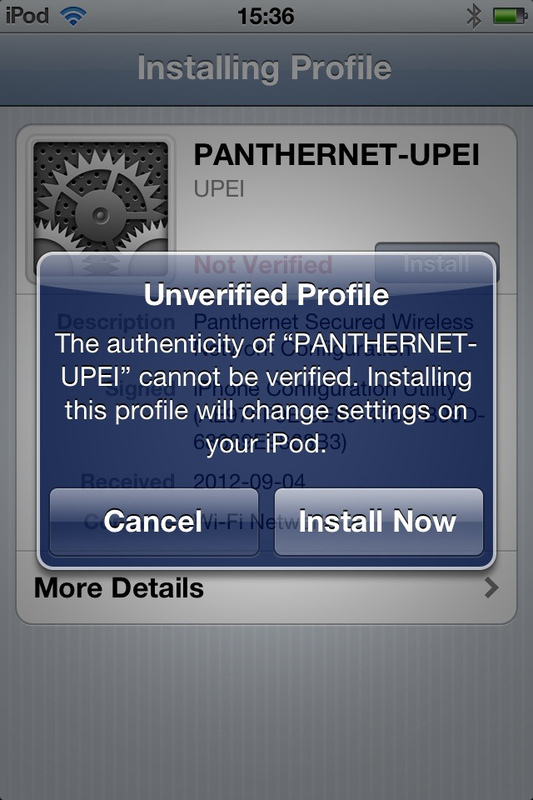 You’ll be walked through the process of installing a new “Profile.” You’ll be warned that it’s an “unverified profile,” which is okay, and you can click “Install Now,” after which you’ll be prompted to enter your UPEI network username and password and, if everything’s okay, you’ll see a final screen headed “Profile Installed” and you’ll be good to go. 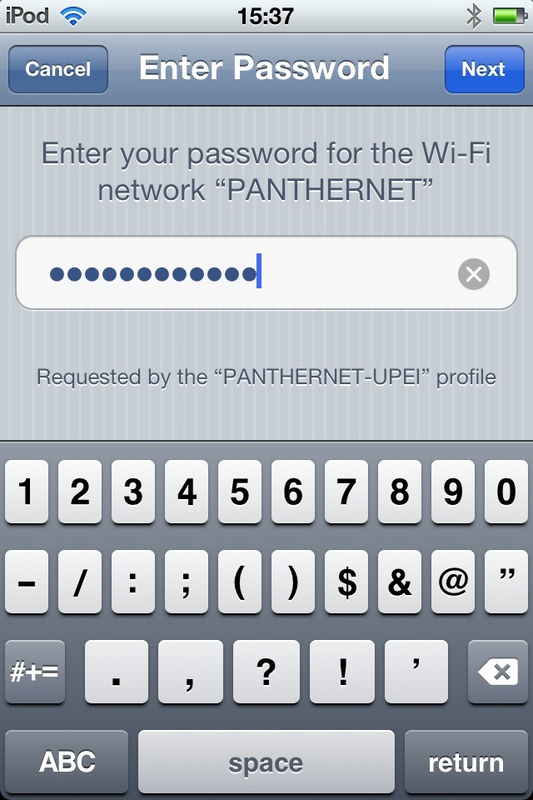 Written September 4, 2012 at 4:07 p.m.